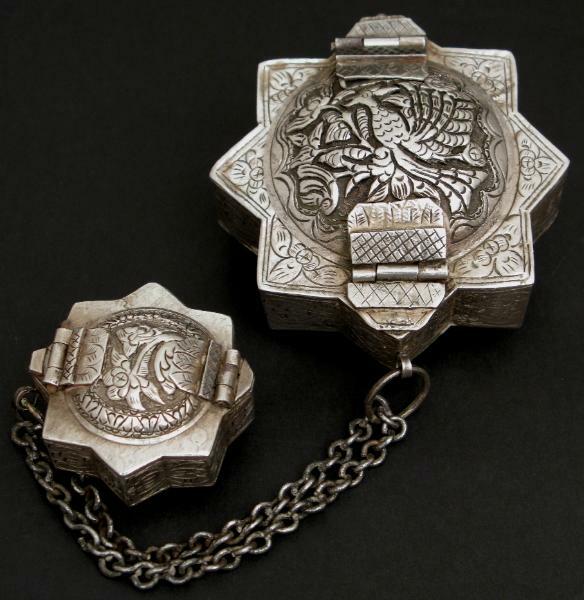 This silver betel or tobacco box is chased with phoenix-like bird motifs and classical Malay scrolling foliage and stylised orchid blooms. 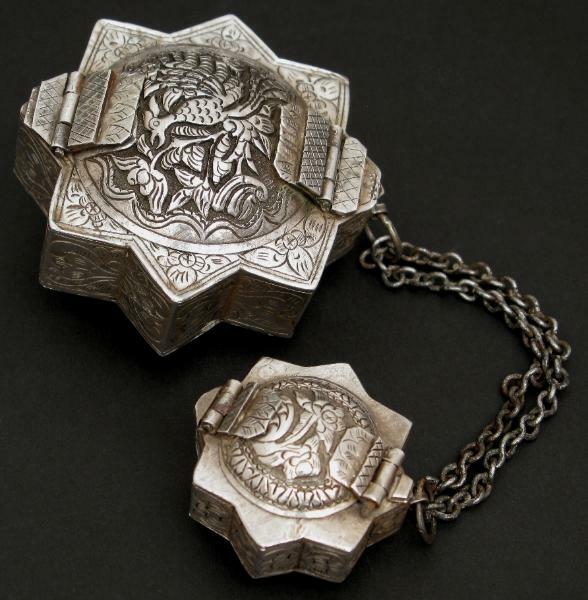 It is attached to a small matching silver lime box by means of a silver double-strand chain. Both boxes have hinged lids secured by concealed latches. The star shapes of the boxes betrays their Islamic origins. The set originates from Sumatra, where classical Chinese motifs often are found intermingled with Malay elements.